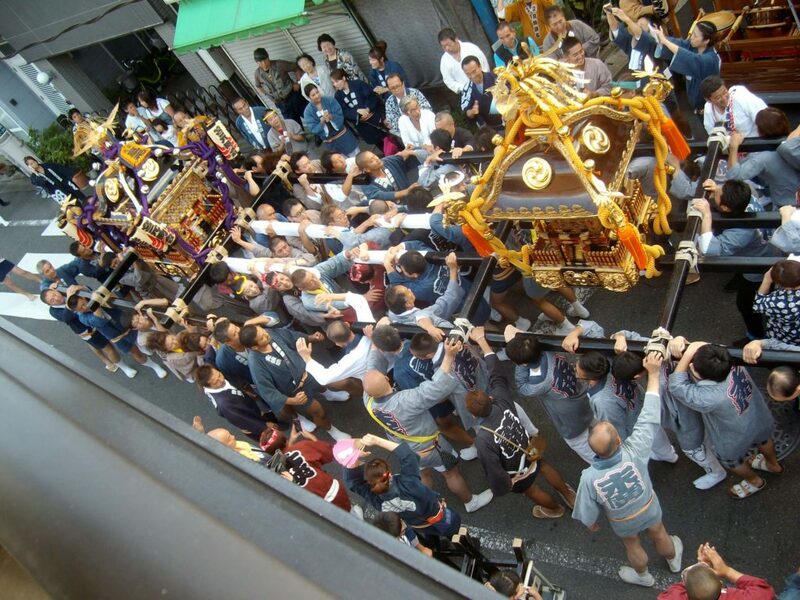 A parade was coming my way, an o-mikoshi (portable shrine) being carried on the yukata-clad shoulders of a team of bearers, the drums following somewhere behind it. 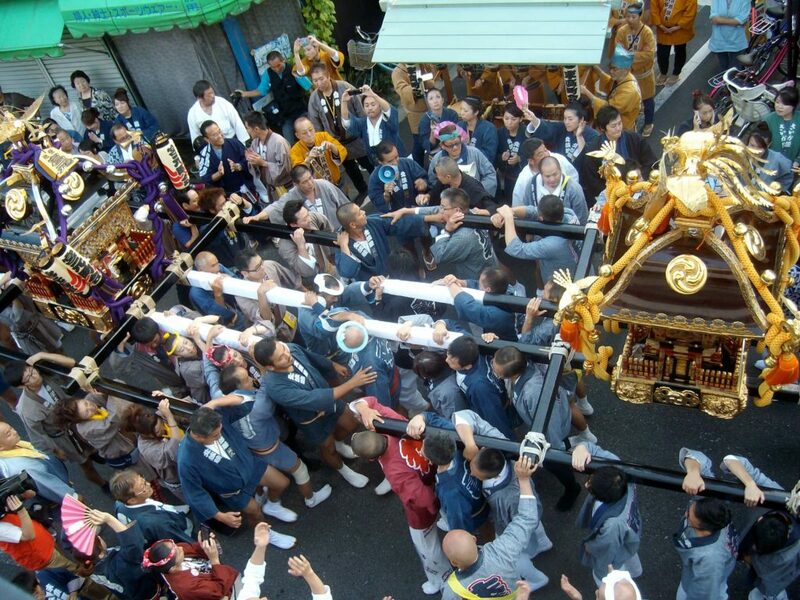 Unexpected, but so far so standard (by the standards of Japanese local festivals). Although it shouldn’t have been unexpected really – big banners were hung across the street all that week announcing the festival, which I could’ve read if I’d paid them any attention but hadn’t bothered to do so… but anyway something then happened which I’ve never seen before. 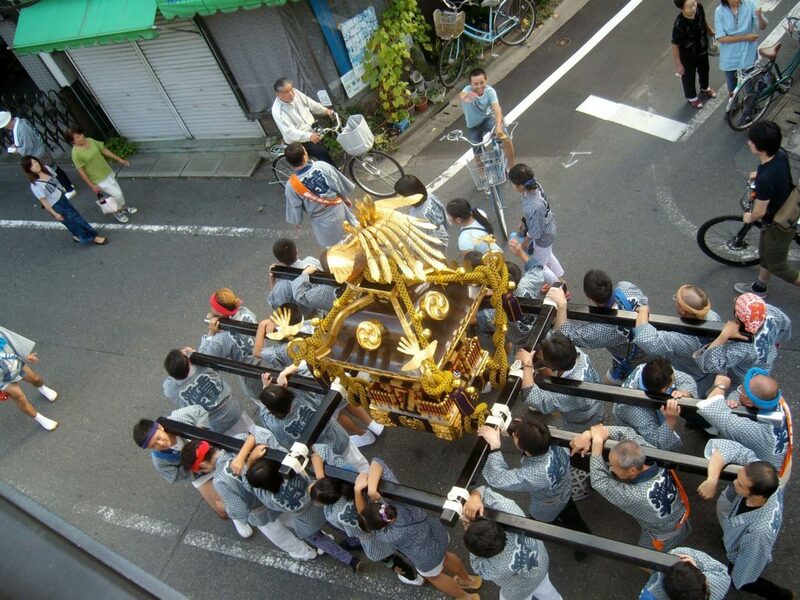 There were two o-mikoshi involved in this festival, and they ended up performing some sort of ritual combat in which the two teams went head-to-head, pushing each other back & forth along the street. 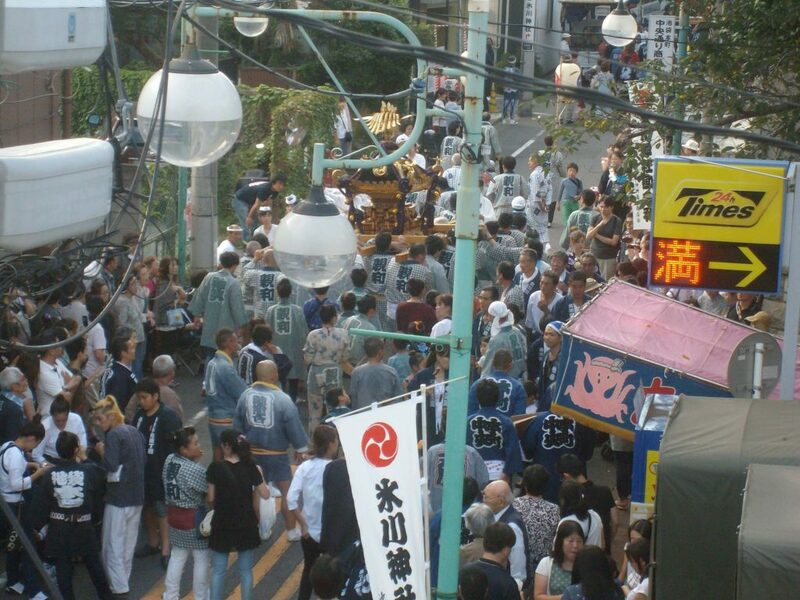 Basically it was like a rugby scrum but with loads more people in it and massive shinto shrines on their backs, and a crowd of locals yelling them on from the sides – and the focal point of the action happened to be directly beneath my balcony. 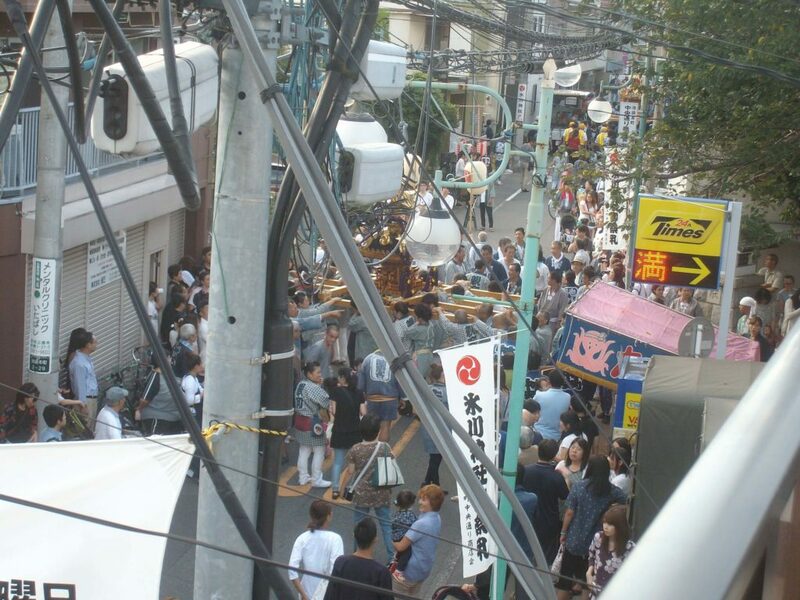 When I’d first heard the drumming I wasn’t best pleased to be honest, but actually it was really cool to see this going on right under my window so I made myself a cuppa and enjoyed the show! 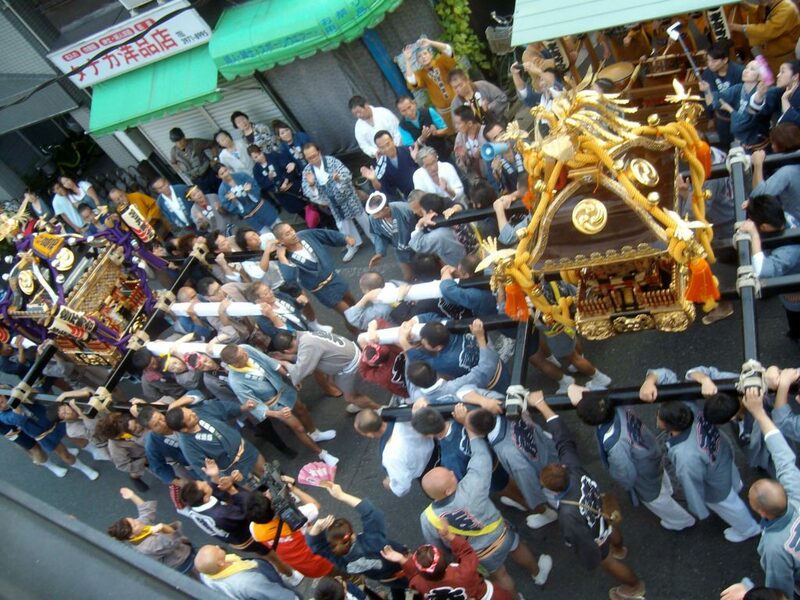 The contest between the two shrines was all very ritualised, nothing too mental, and I think the outcome was probably pre-determined with one shrine eventually turning off down the side street opposite my building and the other continuing on straight along the road they’d been fighting on. 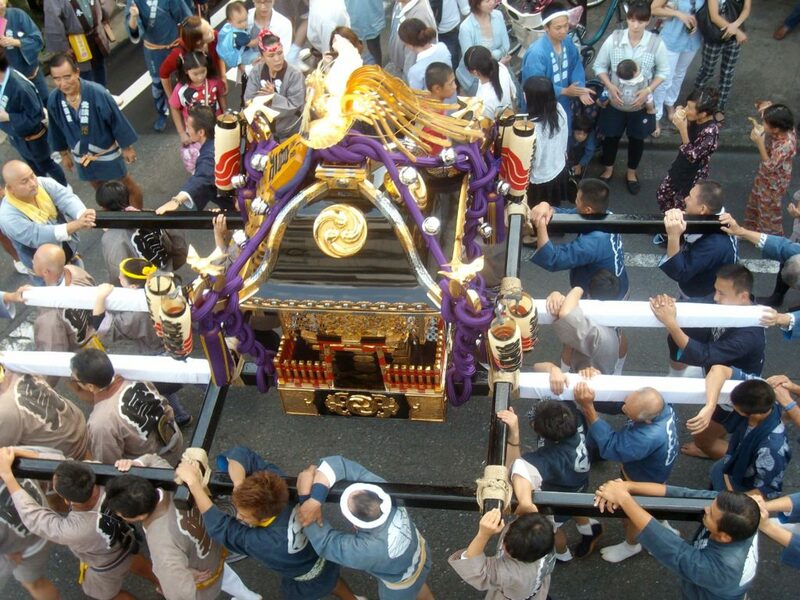 I say ‘nothing too mental’ because some Japanese festivals are completely nuts, for example check out this one and this one – though I don’t mean any disrespect by that, each festival has very specific symbolism and meaning even though they may appear completely bonkers if you don’t know what’s going on. Pretty random. 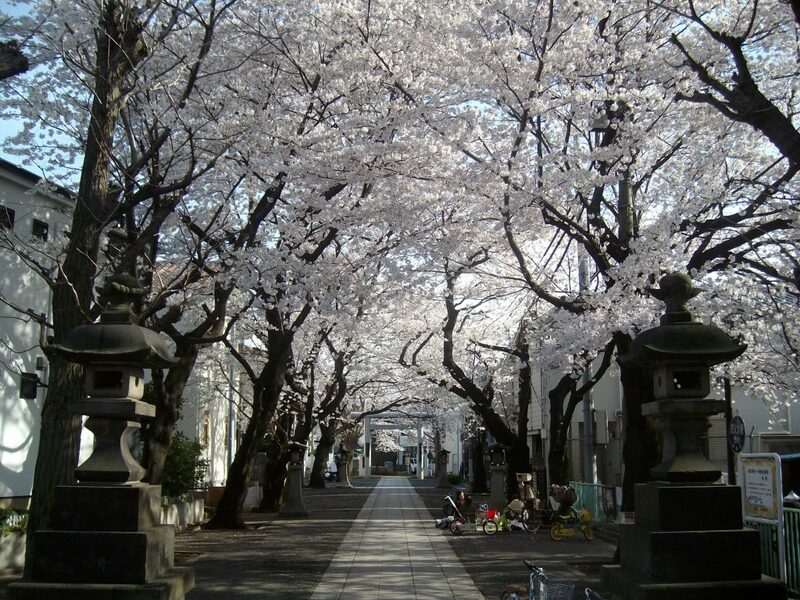 They weren’t making much noise, just walking in the direction of Ikebukuro. 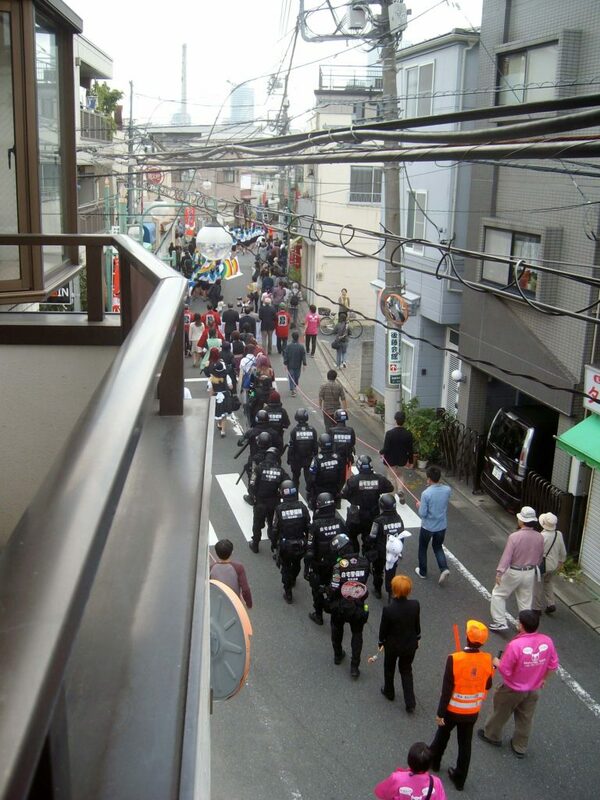 But if it was a protest, it was a much more peaceful & orderly one than the ultranationalist march & counter-demonstration I once saw in Ikebukuro – see here for that. 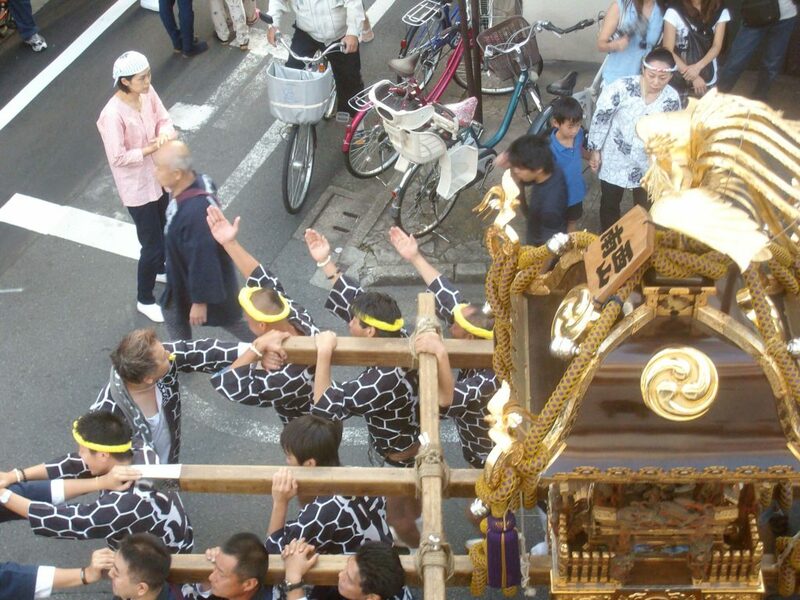 Also check out my pics of Kyoto’s massive Gion Festival parade here.